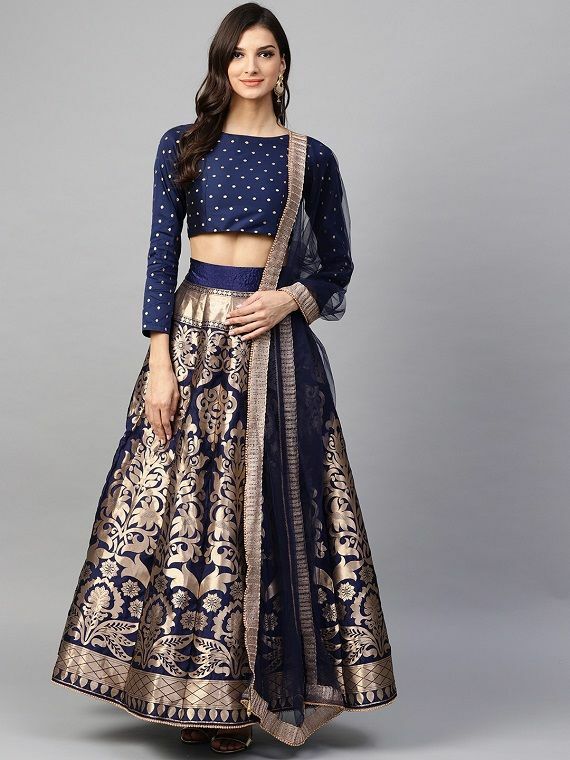 Traditional Indian wear is a must for festivals and wedding occasions. Kurta pajamas are the most chosen attires in Indian wear because they are comfortable to the core and very easy to style too. Moreover, kurta pajamas can be worn for casual occasions too. 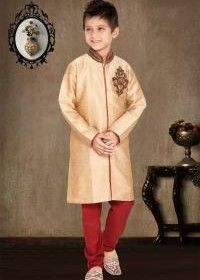 Men usually prefer to go for kurta pajama sets because they are ideal for all events whereas trousseaus like sherwanis, ethnic jackets, dhotis etc. are not apt for all occasions. One has to wait for a special occasion when it comes to sherwanis! Mens kurta pajama come in a variety of patterns and styles. 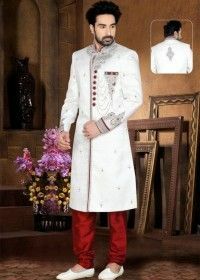 Depending on your personal style you can select the kurta you want. Right from unique colour combinations to uncommon bottom styles, you can add loads of new elements to your kurta. Even if your kurta is simple to the core you can spice it up with the addition of different elements. Men are quite confused and clueless when it comes to choosing the right ethnic wear for an occasion and often make mistakes while selecting a particular attire. Earlier, one had to roam from outlet to outlet in search of a perfect trousseau but nowadays you can get amazing kurtas for men online too. Shopping for kurtas online can provide you with amazing choices and options in lesser price. 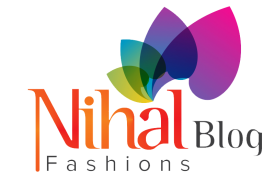 Nihal Fashions is the best online shopping platform for mens kurtas. 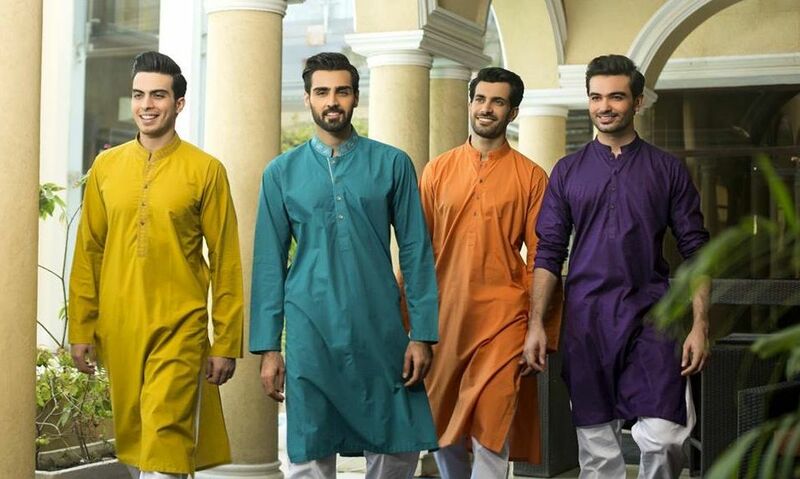 Here are some basic mistakes men should avoid while buying a kurta. The most important thing in any attire is its colour. The colour is the first thing a person notices about an attire and therefore selection of the colour should be done carefully. Select the colour according to the occasion and try to know which are the trending colours! Following the trends is not a compulsion but it is always better to try something new. Most men select extremely mundane colours because they are scared of experimenting. Ditch the boring hues of cream, grey, black and blue and try going for mint green, peach, shades of pink, etc. Even mens kurtas have many styles and patterns and it is always better to select the one which suits your body type. Not all kurta patterns suit all body types so make sure you first check whether you can pull off a particular style or no. For instance, if you are on the heavier side then you must consider taking a kurta which doesn’t make you appear larger. Women tend to go for body-hugging outfits when it comes to traditional wear. Kurta pajamas are not supposed to be extremely fit, they can have a comfortable fit too. See to it that your kurta is not dropping from the shoulders and is suiting your personal style. Kurta pajama is a fuss-free attire but if the fit is not proper it can look quite weird! These days men try to experiment with the selection of the bottom styles by opting for patterns other than a pajama. Well, see to it that you don’t go overboard with the style and the pairing up. The colour combination of the bottom you opt for should blend with the kurta completely. Well, if you want to team up two contrast shades then do it smartly. Every occasion has its own vibe and feel and one needs to dress according to the same. Men sometimes choose a very simple kurta and sometimes go for a very heavy kurta which might not be right for a stated occasion. So, when you choose a mens kurta see to it that it suits the event. Make sure that the pattern is suiting the vibe of the event and you are not looking underdressed or overdressed. Once you are done selecting the right kurta pajama set you also need to know how to style the trousseau in the right manner. Here are some elements which will help you enhance the look of your outfit. An outfit is incomplete without a proper footwear. Especially, in Indian wear, footwear plays a very important role. Make sure that you pair your traditional look with proper footwear. Choose from the footwear styles of mojri, brogues, Kolhapuris, leather jutis, etc. The colour of the chosen footwear should look good with the overall attire. Choose from the shades of brown, black and grey if you don’t know how to pull off vibrant colours. If you want to make your outfit look more traditional then you can add a dupatta to the same too. Generally, a dupatta is only added to a sherwani but nowadays in order to enhance the look and increase its ethnicity, dupattas are added to kurta pajama sets too. The dupatta should complement the overall colour scheme of the look and should look like a part of the outfit. If you are unsure about the colours then you can go for a golden or a silver-toned dupatta too depending on the outfit. Jewellery is not just for women these days there are many jewellery pieces available for men too. Accessories for men include finger rings, pocket squares, wrist watch, bracelet, etc. Only a single piece of jewellery is also enough to enhance the whole look. If you are not confident about other jewellery pieces you can go for a classic wrist watch too. Shopping for Indian clothes can be quite difficult because one has to consider several factors. 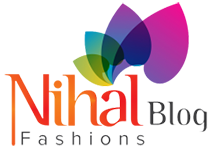 Online shopping portal Nihal Fashions is surely going to be your one-stop destination for traditional Indian clothes. 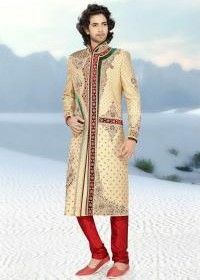 Nihal Fashions has several varieties for mens Indian wear too. Moreover, this particular online shopping platform also has several festive offers and discounts which will make your shopping experience worth every penny.